Follow the rhythms of Rio and the beats of InstaCasino! Let them show you one crazy carnival jam packed with great offers. This weekend they have a full parade of crazy carnival offers ranging from Real Spins to Deposit Bonuses. Dress up, put your best costume on, get ready to experience this amazing campaigns all weekend. 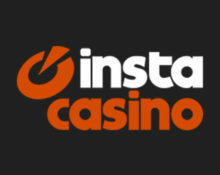 Celebrate carnival with Instacasino. RealSpins are Free Spins with no wagering requirement. Exclusive for our readers from Australia, Austria, Canada, Finland, Germany, Iceland, Isle of Man, Jersey, Lithuania, Malta, the Netherlands, New Zealand, Norway, Sweden, Switzerland, the United Kingdom. Claim a daily offer until Monday to celebrate the last days of carnival. Each code can be claimed once per player. Deposits via Neteller or Skrill are excluded from this promotion. Wagering requirements are for deposit + bonus: 30x for 30% bonus and 35x for 50% bonus. Winnings from RealSpins are cash, no wagering requirement. InstaCasino Bonus Terms and Conditions apply, read them carefully. Restricted Games while wagering a bonus: All Live Casino tables, Super Monopoly Money, Ragnarok, Scrooge, Devil’s Delight, Champion of the Track, Robin Hood, The Wish Master, Castle Builder, Tower Quest, Pearls of India, Dead or Alive, Forsaken Kingdom, Gemix, Royal Masquerade, 1429 Uncharted Seas, Aliens, Tomb Raider- Secret of the Sword, Dr Jekyll Mr Hyde, Eye of the Kraken, Rage to Riches, Bonus Keno, Gunslinger, Peek-a-Boo, EggOmatic, Big Bang, Golden Jungle, Untamed Crowned Eagle, Untamed Bengal Tiger, Untamed Giant Panda, Untamed Wolf Pack, Pinocchio, Stardust, Double Dragons, Holmes and the Stolen Stones, Vikings go Berzerk. Launched in 2015, the casino is operated by MT SecureTrade Ltd. under Curacao, MGA Malta and UK Gambling Commission licenses. On offer for play on desktop, mobile and tablet are an extensive range of games from Netent, Betsoft, Genii, IGT, Microgaming, NYX, Play’n GO, Quickspin, Reel54 and Scientific Games (Bally, Barcrest, WMS). The LIVE Casino tables are provided by Netent Live and Evolution Gaming.